In order to be able to provide quality photography services across the island, BonPhoto operates a camera shop on Bonaire which serves as our home base. If you have any photography or video-related questions, our camera shop is an excellent starting point. Whether you would like to enroll in one of our courses or you want to rent a photo or video camera, our highly experienced photography professionals are always happy to assist you. The BonPhoto camera shop is open daily from 08:00 to 12:00 and from 13:00 to 17:00. You can visit us for all your photography needs on every dayof the week, except Saturday. Do you want to take pictures or record video underwater, and are you looking for a waterproof camera? Did you forget to bring the right batteries or accessories for your camera? The BonPhoto camera shop stocks a wide array of photography and video products. If there’s anything you need, simply stop by our camera shop and ask our staff for advice. You’ll find a fitting solution in no time. In addition to a variety of retail and rental options, the BonPhoto camera shop also stocks a range of souvenirs and other keepsakes. Furthermore, we are an excellent resource for information about the island and tips to help you make the most of your photos and videos. Do you need professional advice or assistance regarding the best use of your camera, or are you eager to see how your pictures or videos turned out? The BonPhoto camera shop is the best one-stop shop for professional photography services on Bonaire. We can develop your pictures quickly and correctly, allowing you to see exactly how your mementos have turned out. If you are looking for a professional perspective on photography, our camera shop is always happy to share some insight with you. You can even hirea photographer or cameraman to get the best results.  Explore our photography services. A broken camera can cast a shadow over any vacation. Thankfully, the BonPhoto camera shop can help. Has your camera suddenly stopped working, or are you worried that your precious photos and videos have disappeared from your memory card? In most cases, our staff can restore your camera to proper working order. Naturally, we understand that time is often an important issue when you’re on vacation. That’s why the BonPhoto camera shop always strives to repair your camera as quickly as possible.